October 2018, Paris - At the initiative of the Association for the Protection of Intangible and Cultural Heritage of Shanghai, the Shanghai Culinary Association and the Department of Cultural Affairs of the Consulate of the Chinese Embassy in Paris, Le Cordon Bleu Shanghai and its partner, Shanghai Business and Tourism School (SHSMLY) are organizing a series of events in honor of China. 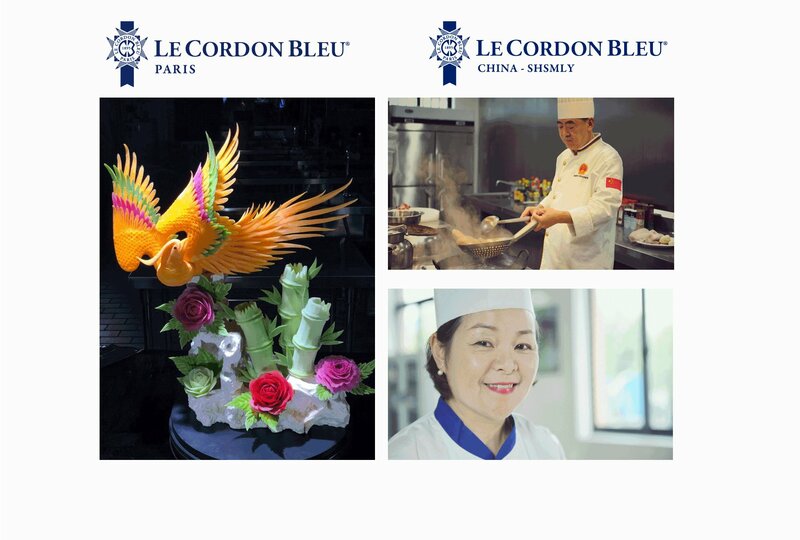 Le Cordon Bleu Paris welcomes a delegation from October 17 to 24 to share the cultural and gastronomic heritage of the Shanghai region through demonstrations and animations. For this occasion, Le Cordon Bleu is delighted to invite you to attend one of the culinary demonstrations orchestrated by Chefs Ren Defeng, Xu Jaije, Zhang Guifang, and An Binn. The demonstrations are free and will be translated from Chinese into French and English.